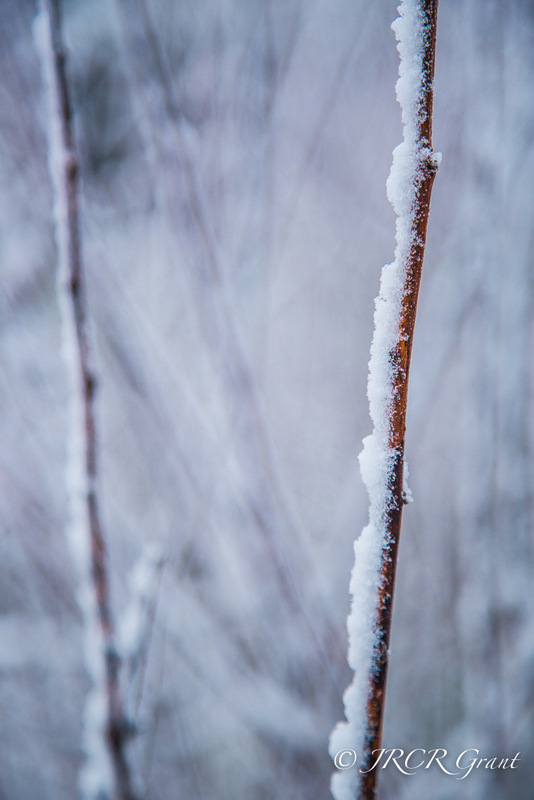 In this image I loved the two vertical shoots coated in snow, along with the patterned background caused by further sprigs. Would love to know what you think of this piece. The image is part of a series of images taken last week when we got a brief flurry of snow. Hope you are enjoying the series. like this photo as well as the winning photos, I’ve missed your posts of late because I’ve been very behind in reading the blogs due to other things in my life (all good things though). It’s always difficult to choose the best ones–they are all so good! It’s a fascinating shot: snow making its own rules, as it always does. It would be great to see that same shot after the snow has left, and see how the textures are built up. A very peaceful picture: love it! STRIKE THREE….YOU ARE THE WINNER!! Beautiful. I’m with you, JRCR…this would be my favourite, as well. I like the simplicity in colour and detail..the it looks like thee is a mirror behind ..
Beautiful lines, simple but not simplistic. Gorgeous. Isn’t that weird how that happens? I took a very similar one with a very red branch sticking out amongst the gold. Almost looked fake!